How many times a day you've felt some things could just be "slightly" better than they are now? It may be your wash-basin tap, that tries hard to impersonate gym equipment by being hard and clumsy when you are all sleepy in morning, or it could be your phone bill that poses more intellectual challenge than toughest of the cryptic-crosswords. 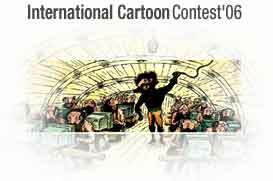 The objective of this competition was to identify most badly designed product or a system or a service that we use in our day-to-day lives, get annoyed with and eventually ignore. 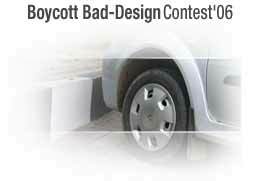 The following ten entries were chosen as the best submissions for the "Boycott Bad-Design Contest'06"
Details about the entries chosen for the exibition for World Usability Day'06 at Hyderabad are displayed below.You can see the details of each entry, vote for it and add your comments to it. Team-UMO duly acknowledges it's gratitude towards all the participants. "World Usability Day" is an Earth Day style event held on 14 November 2006, focused on raising awareness and visibility of usability engineering and user centered design. UsabilityMatters.Org is the local event coordinator for the World Usability Day-2006, Hyderabad, India event. UsabilityMatters.Org has organized a 9 day exhibition and a host of activities on November 14, 2006, for the World Usability Day-2006 in Hyderabad, India. The exhibition and the conference was well attended by over 200 people from usability community, students, and professionals from Design related domains from Hyderabad.